After writing chapter of results (findings), tomorrow is time for analyzing. This day was tough day as usual even not like yesterday. But, I can conquer it by focusing in writing paper. Anothers are side jobs even they looked so hard. For me, management is like a toy. Managing people is a good thing, I really like it. I hope tomorrow I can wake up before 6 am so I can continue my paper work and have jogging half hour like this morning. 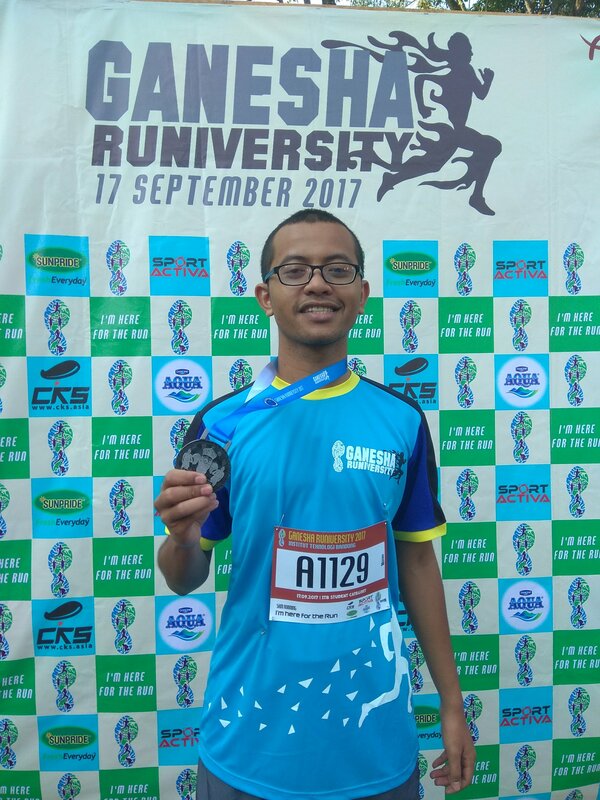 Yesterday I sucessfully registrated Full Marathon (FM) held by Pocari Swet on August this year. This morning was my first day for its preparation. May FM brings motivation for me to routiny running more than 5 k (half hour) every day. I dream someday I can join international marathon event in London or New York, don’t I ? Maybe because of jogging is my routine so when I don’t do it, my body looks tired and pain especially in my knee. This evening I did in Gasibu track near 5 pm. Firstly I warmed up then jogged for approximatelly 20 minutes. I achieved 3s kilometers according to Nike Run plus. 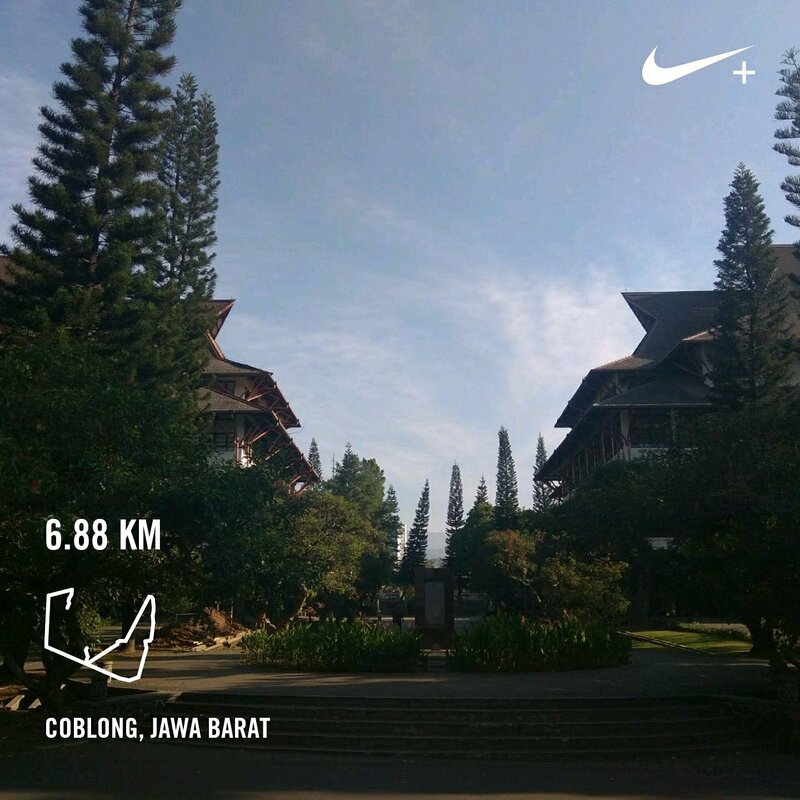 Not like days before Ramadhan, the jogging track was quite quiet. Maybe because of many people was fasting. As usual, I used my earphone on to listen the musics in spotify. I can’t force my self to take speed steadily, I didn’t want to be fainted suddenly. This was my fist time jogging in this Ramadhan. My watch looked at 5.25 pm then I went home to catched up time for iftar. This morning I used my new devices in jogging. Those are earphone and smart watch, both whose color is black. The first one is developed by JPL that I bought last friday afternoon with only 105k rupiahs and the the second one is Xiaomi Band 2 that I bought in same day with 299k rupiah. Long time before, I used to Oppo headset. Compared with the new one, JPL is good at bass but not in its sound purity. There is some annoying like my footstep and not clear enough for the song lyrics. My old one is better that this tool, but it doesn’t matter. Meanwhile, yesterday was my first time using watch. Last time I used watch maybe when I was student of Senior High School. The watch is a smart watch that is still popular right now. It’s technology is good enough. I use it to track my footstep, quality time when sleeping, and another apps. We can check it real time via built-app installed in the smartphone. I think, with it’s low price but high function this tool is very recommended.